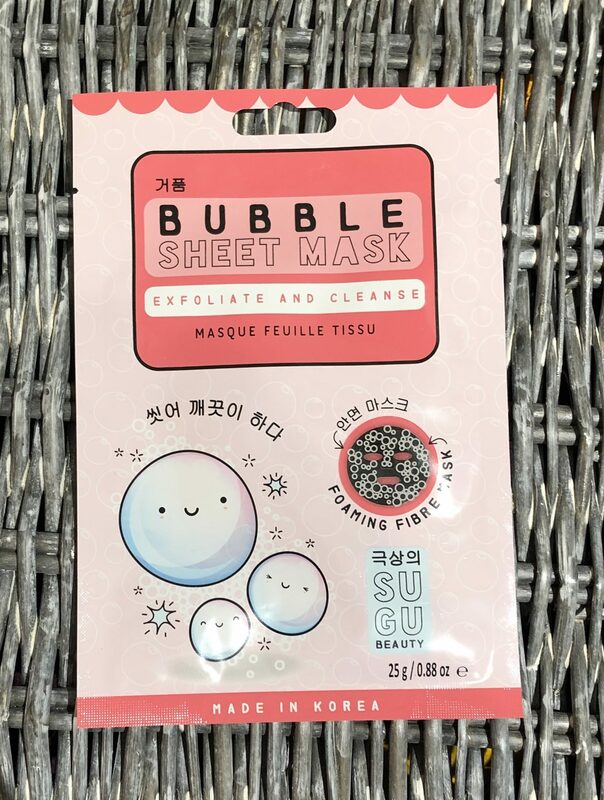 So a lot of people both online and in person I know have been trying bubble masks out and in a sort of way they fascinate me. So when I saw this one in boots I thought I would give it a try. My skin is naturally dry well in the colder months anyway but it’s definitely improving over the last few weeks. But as always its good to have a skin care routine and to look after your skin. I had never heard of this brand before. NPW Sugu but thought I would give it a go and see. Let’s start with the packaging. It’s cute with the pinks and the cartoon bubbles. The back of the pack is basically too small for me to read let alone find the English part. It is good it’s vegan friendly, gluten free, not tested on animals and sulphate free. 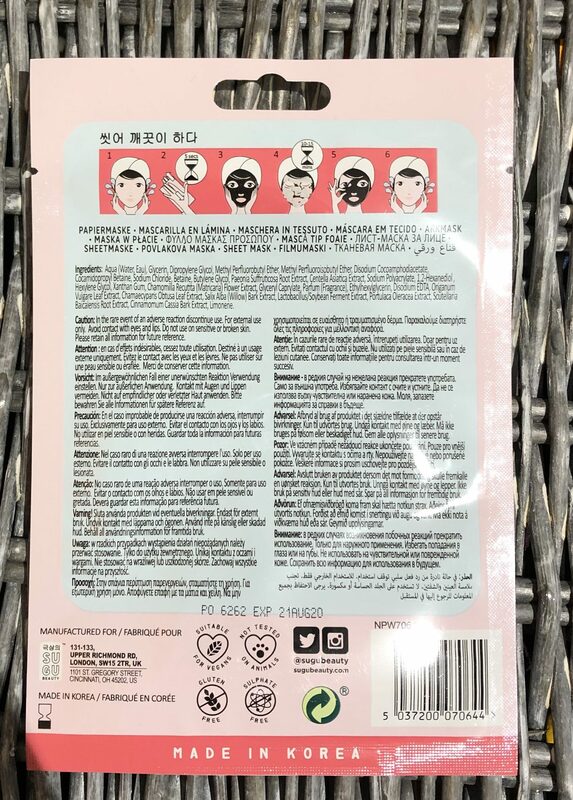 So being I couldn’t read the back I just followed the images at the top telling me how to apply and wear for 15-20 minutes. Of course my hair is chucked up in a messy bun and a head scarf round the front. A onesie or two on and I am comfy and mask ready. 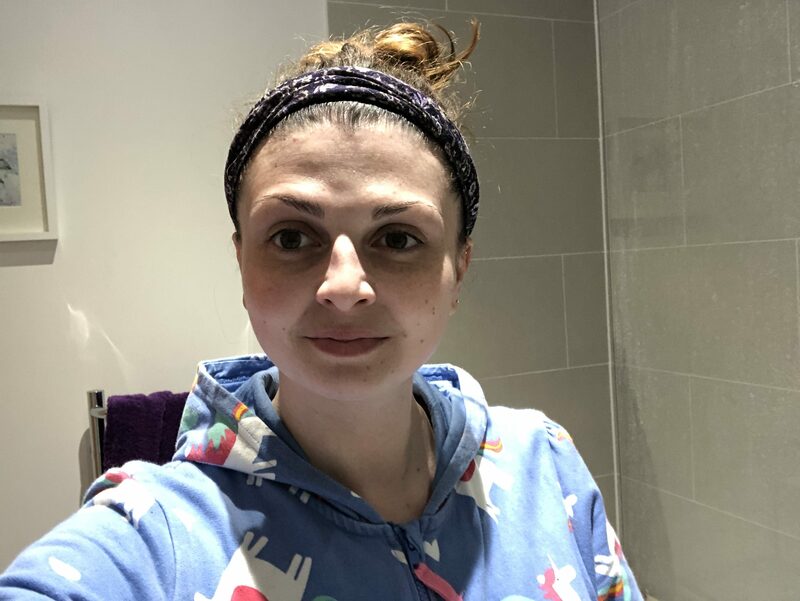 You can see by this photo that my skin is pretty clear, I have some dryer skin on my forehead and I have a rosy cheek because I was warm from the heating being on. 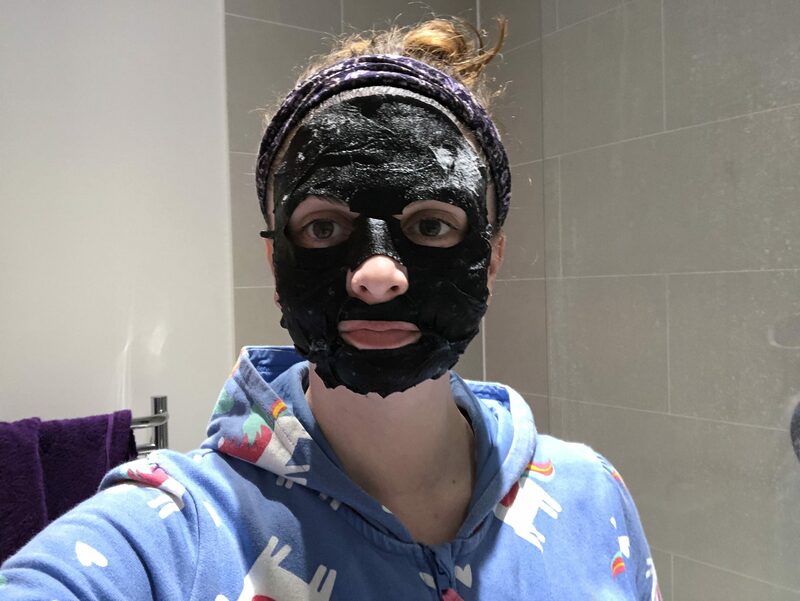 So I followed the instructions as I would normally and applied the sheet mask to my face. For once the mask fit my face near enough perfectly. So I was really happy about that. If you are following my face mask Friday’s you will know the sheet masks are oversized for my proportions. 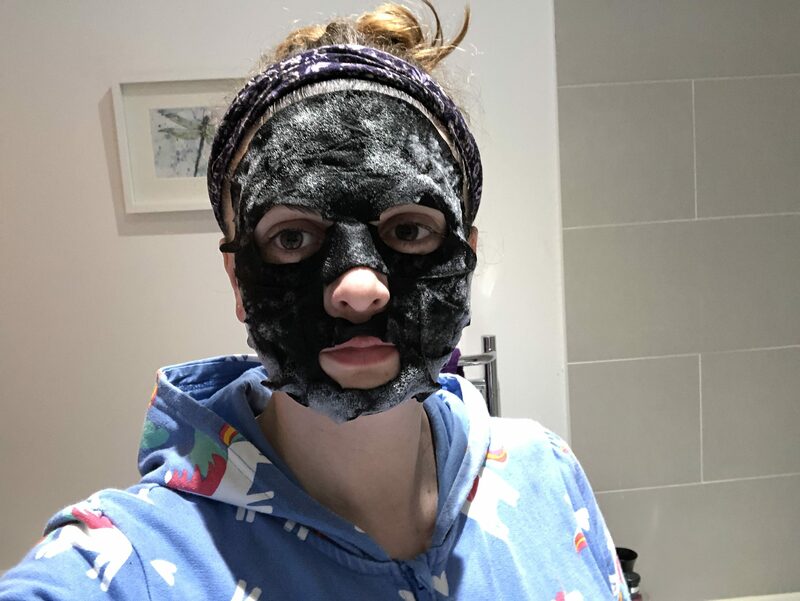 As you can see by the second photo of the mask, that part of the mask on my forehead had started to bubble before I had placed it on my face. Which I didn’t think would happen. But maybe that’s just me. I was really intrigued of how this mask would work, and what it would feel like. Of course after applying I went and chilled out reading my book this time. I am right into reading at the minute. As I sat there in silence reading my book, it felt like I had popping candy on my face. All I could hear was the bubbles bubbling up on the mask. It was weird but maybe that’s just how I felt and the noises of the bubbling. 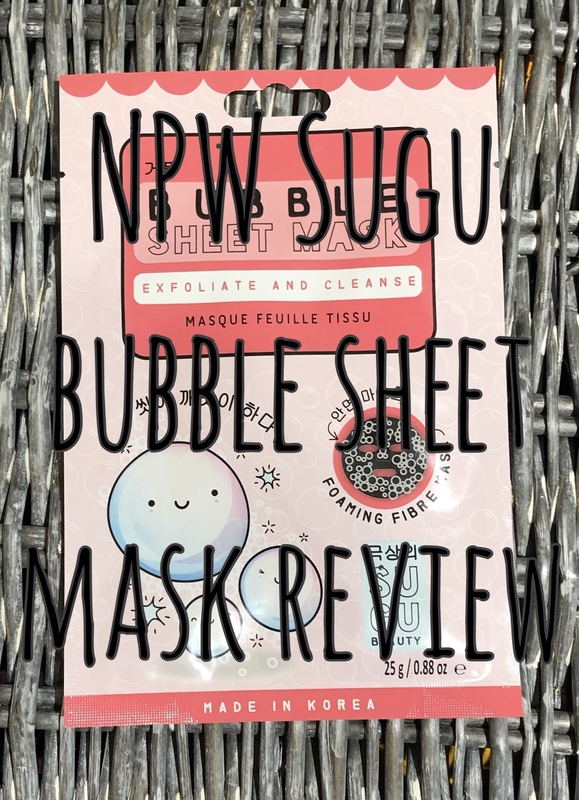 It’s quite amazing really to think you applied a sheet mask 20 minutes ago and when you come back its covered in bubbles. It’s also cool to look at. I took it off and just gently rubbed in the moisture left from the sheet. My skin did and still does the day after, feels amazing. It’s so soft and smooth. It just feels in a really good condition. Those who know me my skin is and always has been one not to have break outs and I still now at a 28 and do most of the time get up, get dressed, eat, brush teeth, apply skin cream, mascara and eyeliner and I am ready to go. So in the sense that my skin is and has always been ok to go bare faced, you can say I am lucky. But I have used face creams for a good 10 years if not 12. I am more into the self care and beauty now than I was at 18 but I guess I am as I said lucky. By applying masks and looking after my skin, its allowing me to age better and keep my skin looking younger for longer. I would definitely recommend this mask to anyone. It’s the weird sounds of the bubbling that fascinate me and how this mask works. But I can definitely say 100% that the mask has done both exfoliate and cleanse my skin. The only thing I would point out is that I have a cold or the end of one anyway and I have really dry lips at night. I apply lip cream to my lips to help them, but if the mask even was to touch my lips for a second it made them sore. What is your skin like at the moment? 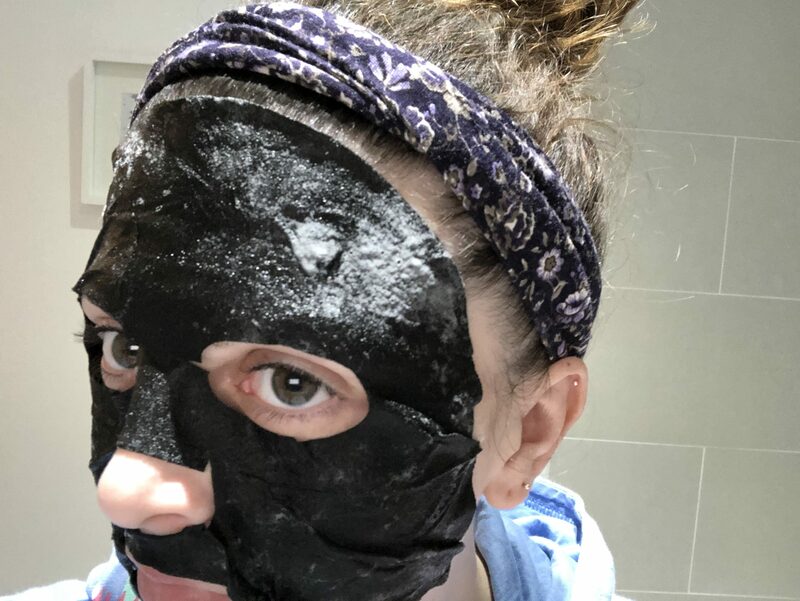 Are you one for a face mask weekly? What is one you would suggest for me to try?